DALLAS, Nov. 2, 2017 – Maggiano’s Little Italy® is an expert in serving chef inspired, made-from-scratch Italian-American dishes, hosting special occasions and serving a wide range of wines and handmade cocktails. Starting this month, Maggiano's is offering Guests the option to further enjoy their dining experience by pairing their meal with the new Barrel-Aged Cocktail or a glass of wine using the Coravin™ Wine Preservation Opener available in all 52 restaurants. Spurring from Maggiano's made-from-scratch culture; the brand created the signature Barrel-Aged Cocktail. Maggiano's is leading the way in cocktail innovation as it is the only national casual-dining restaurant to serve a cocktail that has been aged in-house to its Guests. Not only does this handcrafted cocktail bring rich premium flavors, but it also carries a history that directly reflects Maggiano's Italian-American heritage. Maggiano's executive mixologists paired Old Forester, America's first bottled bourbon, with the original 1525 Italian recipe of Disaronno® Amaretto to create the perfect Italian-American cocktail to serve with Maggiano's made-from-scratch dishes. Also, known for its wine culture and the fact that Italian-American dishes pair excellently with a great glass of wine, it was a simple decision for the brand to invest in the Coravin Wine Preservation Opener, which allows Maggiano's Guests to enjoy any wine of their choice by the glass without the price tag of a whole bottle. Barrel-Aged Cocktail – This new signature beverage is sure to be the drink of the season as it exudes warms flavors just in time for fall! To make this drink, Maggiano's mixes Old Forester, Disaronno Amaretto and Cointreau® in an American white oak barrel and cures the cocktail in-house for 14 days before serving it over a large ice cube with an orange expression. Coravin Wine Preservation Opener – This system allows wine to be accessed without ever removing the cork, thus perfectly preserving a bottle of wine for years without worrying about waste. 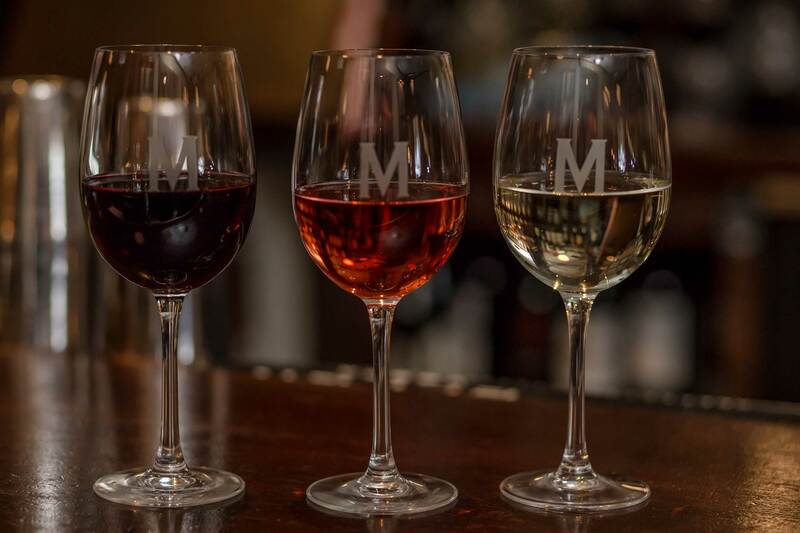 With Coravin, Maggiano’s Guests will be able to explore more than 44 wines by the glass. 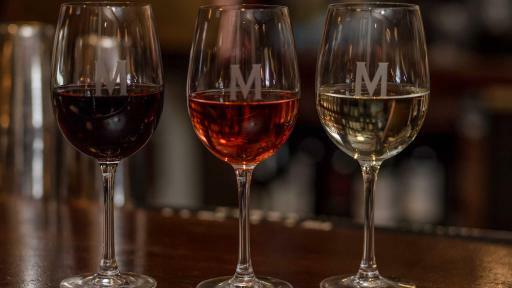 Guests are invited to raise a glass to Maggiano’s new bar menu at a nationwide tapping party on Nov. 2. To find the nearest tapping party, visit http://bit.ly/TappingParty. To learn more, visit https://www.maggianos.com/ or follow along on social! Maggiano's Little Italy® specializes in Italian-American cuisine served in a warm and friendly atmosphere. Maggiano's menu features both classic and contemporary recipes – authentic pastas, signature salads, prime steaks, fresh seafood, regular chef specials and specialty desserts. Maggiano's 52 restaurants nationwide offer lunch, dinner and brunch, delivery, carryout service and banquet spaces for special occasions. Maggiano's is owned and operated by Brinker International, Inc. (NYSE: EAT), one of the world's leading casual dining restaurant companies, serving more than one million guests daily. Brinker owns or franchises more than 1,600 restaurants in 32 countries and two territories. In addition to Maggiano's, Brinker owns and operates Chili's® Grill & Bar. Follow news about Maggiano's on Facebook (www.facebook.com/maggianos), Twitter (http://twitter.com/maggianos), Instagram (https://instagram.com/maggianoslittleitaly/), YouTube (www.youtube.com/maggianoslittleitaly) and Pinterest (http://pinterest.com/maggianos). For more information, please visit http://www.maggianos.com.